Through a joint providership with the Medical University of South Carolina, SE provides AMA PRA Category 1 Credit(s)™. For completing a Clinical Effectiveness Assessment and passing a post-test, providers are awarded 0.5 Continuing Medical Education (CME) credits. 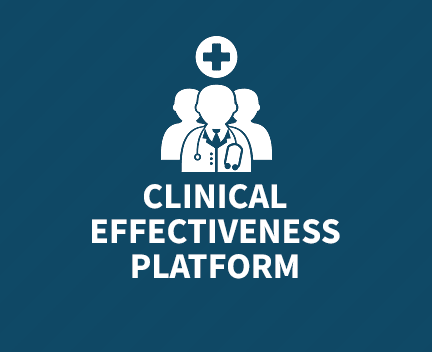 SE Healthcare’s Clinical Effectiveness platform is easy to implement. The navigation is simple and intuitive, and getting started only requires two steps. Really…it’s that easy. Valuable information at the tips of your fingers in just minutes. The data and information you receive is then used to provide a plan for improvement using SE Healthcare’s Performance Improvement Tools, which are available to you and your team within The Physician Empowerment™ Suite. The insights delivered to you through the Clinical Effectiveness platform can help you eliminate medical malpractice risks within your practice. Eliminating those risks and improving operations can lead to rewards like a boost in your practice’s reputation and the ability to negotiate increases in reimbursement. The SE team is here to support you throughout the process to make sure you achieve optimal results. Onboarding kicks off with a brief 15-minute orientation call to set up your new account and answer any questions you may have. Once orientation is complete, the system will walk you through each step of establishing your account. At your readiness, Clinical Effectiveness Surveys will begin to be distributed to your providers. Once the data from the surveys have populated the dashboard, our customer support staff will walk you through viewing your data in your dashboard. Our team is always available during normal business hours to provide you with ongoing support. Contact us to learn more about the Clinical Effectiveness Platform or to schedule a demo.